Three, 240-watt solar streetlights were installed at Park and Mill Streets’ public parking lot last month to eliminate a carbon footprint. ClearWorld, a solar and battery-powered streetlights business, based out of New Orleans, La. partnered with the City of Westfield for the installation of ClearWorld’s RetroFlex Units in part with a pilot program. The lights are not affected by flooding, extreme temperatures, can withstand wind up to 150 mph and can last up to approximately three weeks with clouds and rain every day, and up to eight days in no sun. “Due to the increased pedestrian and vehicular traffic in this area over the last few years, we wanted to make sure people had a safe environment in which to park and walk to their favorite Westfield restaurants,” Director of Public Works Jeremy Lollar stated in a press release. 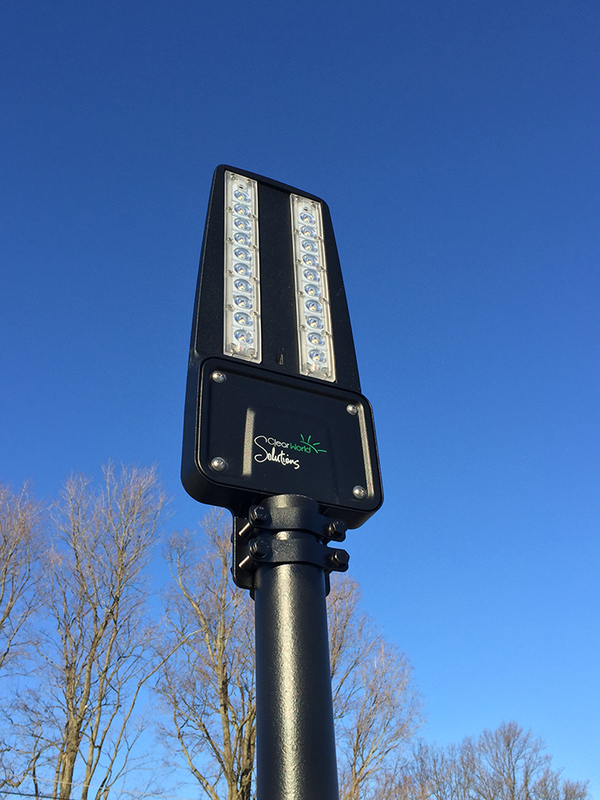 The environmentally friendly lights will provide energy savings for the city and are equipped with software to notify city officials of maintenance and performance, as well as monitoring the light usage and providing on/off powering and dimming capabilities.